The visitation is still scheduled for Don Prior this evening (April 3) – the city is going to plow by the funeral home, so parking will be available. 5-7 pm at Mundwiler and Larson Funeral Home, Ortonville. Prayer service at 7 pm. Donald Prior, age 80 of Ortonville died March 30, 2018, at Milbank Care and Rehabilitation Center. Funeral services will be held on Wednesday, April 4 at 2:00 p.m. at First United Methodist Church in Ortonville. Rev. Melanie Reiners will officiate and burial will be in Mound Cemetery. Visitation will be held on Tuesday at Mundwiler and Larson Funeral Home, Ortonville, beginning at 5 p.m. followed by a prayer service at 7 p.m. Visitation will continue at the church on Wednesday, one hour prior to the service. Donald G. Prior was born on January 30, 1938, in Ortonville, MN. He was the son of Ralph and Fran (Arten) Prior. Don grew up in Ortonville and graduated from Ortonville High School with the Class of 1956. He attended Moorhead State University and received his bachelor’s degree in business and music. Don began his career teaching in Frazee, MN. The winter was extremely cold that year, so Don moved to Riverside, CA. He taught school in Riverside and was united in marriage with Beverly Allen on August 21, 1964. They moved to Austin, TX and Don worked in the financial aid office at the University of Texas. In 1973, Don moved his family to Ortonville. He and Bev owned and operated Prior’s V Store. Don also taught business classes at Ortonville High School. Don started a computer portraits business in the early 1980’s. He traveled all across the state, as well as Florida and Louisiana. He later taught school in Madison, MN before establishing Prior Enterprises where he was an advertising salesman. 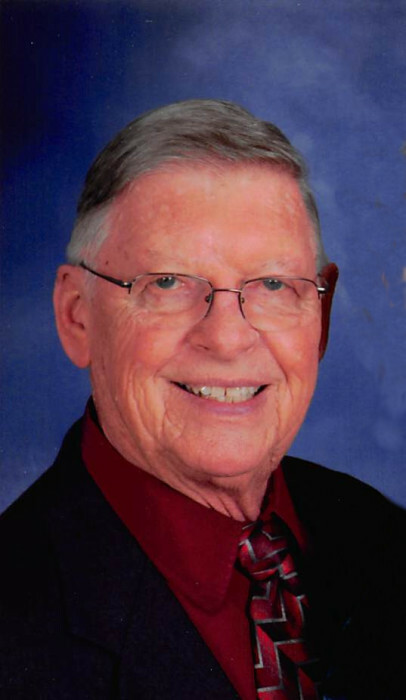 Don was a faithful and active member of First United Methodist Church. He was the choir director for 30 plus years. He served on various church offices and committees over the years. He loved doing yard work and took pride in his yard. He also was on the board of directors for the Chautauqua Concert Association. Left to cherish his memory are his wife of 53 years, Bev Prior of Ortonville, MN; one daughter and son-in-law: Deanna (Pete) Lundberg of Ortonville, MN; and one grandson, Andrew Lundberg. He was preceded in death by his parents.